CAUTION: The most sensitive subject (NAMAAZ) is now being presented with due respect. The reader that gets startled and upset at this humble submission may stop reading on to avoid further aggravation. WHO CONTRIVED NAMAAZ (THE RITUAL PRAYER)? There was not one single man who introduced the Namaaz deception into Islam. Obviously, no one man could. Such conspiracies have to be state-sponsored in order to get hold of the masses. Think of the history of Christianity for a moment. The Pauline doctrine was not canonized until Emperor Constantine supported it at the Conference of Nicea in 325 CE. 2:43 And establish the Divine System, and set up the Just Economic Order in the society. And bow with others who bow to these Commands. [9:119, 89:27-30 'Salaat' = To follow closely like a runners-up (Musalli) follows the winning horse (Saabiq). 'Aqimussallat' = Establish the System that facilitates the following of Divine Commands] The Quran commands us to remember Allah lying, sitting and standing any time. Call it the ritual salaat. Please remind yourself of the famous weird tale of the Prophet (S) ascending to heavens to meet with Allah, the so-called Me'raaj (the word is non-existent in the Quran). Is not Allah Omnipresent? The "Imams" of Hadith want us to believe that Allah ordained 50 ritual prayers daily for Muslims on that occasion. As the exalted Prophet was descending, Prophet Moses told him of the impossibility of the situation and sent Muhammad (S) back again and again. Imagine the Prophet (S) bargaining with God! Repeated visits to and fro then bring the number down to 40, 30, 20, 10, and finally 5! Moses a. s. wanted him to make one more trip but Muhammad (S) felt shy to bargain any further. Was this Hadith, in addition to promoting ritualism, fabricated to prove Moses' farsightedness over Muhammad (S)? Only an extremely gullible mind would accept this nonsense. The later Persian Imams built upon this tale and formulated the current Namaaz. They received strong support from the Persian Zoroastrian mother of Khalifa Haroon Rasheed, Khaizran (d. 789 CE). Haroon's Zoroastrian viziers, the Baramika were only too happy to join hands with the royal mother, Khaizran. So, it was she in concert with others who "canonized" Namaaz according to the desires of the Criminal Imams in 153 AH (773 CE). Her main philosopher was Imam Al-Khalil bin Ahmad Shikoh, the first ever compiler of Arabic to Persian dictionary, Al-'Ain. WHY WAS IMAM HANBAL FLOGGED? Imam Ahmad bin Hanbal is reported to have been flogged by Khalifa Mamun son of Haroon because Hanbal supposedly insisted that the Quran being the Word of God was Ghair Makhlooq (non-creation). No! That wasn't it. It was too trivial a debate. Hanbal got flogged because he saw and opposed the Persian Namaaz (Bandagi or Gah) being incorporated into Islam. Khaizran spent a fortune on her project and distributed one million gold coins and 65 million silver coins among her subjects to propagate the 'canonized' Namaaz. References are given in the next heading. Less than 5% Muslims "perform" Namaaz and they keep announcing their prayers. No one can say or says, "I have established Salaat." Yet, most Muslims keep arguing about Namaaz. Experiment: Call a random gathering of Muslims anywhere for Namaaz under completely unexpected circumstances. You will notice almost all of them joining the lines, most of them without Wudhu (Ablution)! What Exactly Was NAMAAZ (Ritual Salaat): As far as I have been able to analytically search our history and Hadith, following was the probable situation in the lifetime of the exalted Prophet and Sahaba Kiraam. • Ritual prayer or Namaaz was a small part of Aqamatis-Salaat, i.e. establishing the System that facilitates the following of Divine Commands. • The ritual prayer was always congregational. • Women and men both formed this congregation, women on the right side of men. • The frequency and timing of the congregations were determined by the State as needed. It was never fixed as five times a day ritual. • Namaaz was performed with the Imam (Central or local governmentofficial) reciting some verses from the Quran relevant to the situation at hand as the congregation listened to the Imam. Then the Imam would lead two units of prayers standing. • Masjid was not a temple of worship. It was the Assembly, the School, the Municipality, the Parliament and the Government House. So, after that recitation, the leader would discuss real issues about the community, entertain questions, present bills, announce decisions of the Shura (Counsel) and the Assembly would legislate. People came up with their ideas for betterment of the society. Masjid was also the place where the leader was elected. HOW QUICKLY WAS THE RITUAL SALAAT CHANGING! Arif Shamim, Karachi Bukhari Vol.1, Book 10, Number 507: Narrated Ghailan: Anas bin Malik (A Sahabi) said, "I do not find (now-a-days) things as they were (practised) at the time of the Prophet." Somebody said "The prayer (is as it was)". Anas said, "Have you not done in the prayer what you have done?" Bukhari Vol.1, Book 10, Number 508: Narrated Az-Zuhri that he visited Anas bin Malik at Damascus and found him weeping and asked him why he was weeping. He replied, "I do not know anything which I used to know during the lifetime of Allah's Apostle except this prayer which is being lost (not being offered as it should be)." The comments, "Have you not done in the prayer what you have done? ",and the "Lost Prayer" indicate that something went wrong with the Ritual Prayer (Namaaz) soon after Sahaba Kiraam. DOES HADITH EXPLAIN THE METHOD OF NAMAAZ? The Book of Allah claims to be, and certainly is, complete, detailed and describes all things divinely ordained. Say this to an N2I. The knee-jerk response will be, "No, it does not give you the method of Namaaz." Well, did Allah forget? Contrary to the common claims, all the books of Hadith combined together will fail to give you a complete, consistent method of Namaaz. 11:87 They said, "O Shoaib! (We had thought that your religion was only a matter between you and your Lord). Does your Salaat command that we should forsake the worship that our fathers practised? Or, that we leave off doing what we like to do with our economy? Behold, you want us to think that you are the only clement, and the rightly guided man among us." What is Salaatil Wusta? Central Prayer? 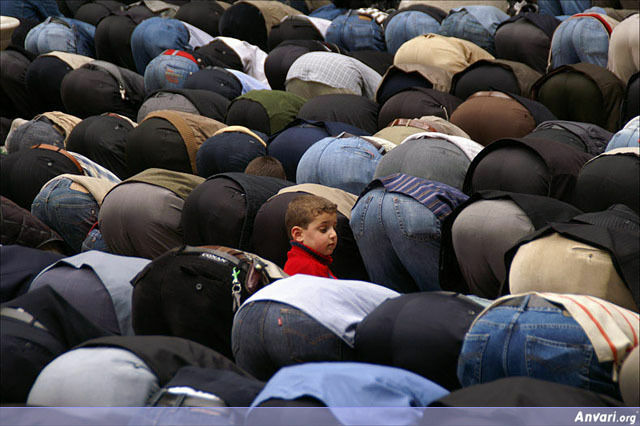 Middle Namaaz? Namaaz 'Asr? 2:238 Watch all your commitments and especially the Central Duty (of guarding of the Divine System). And stay alert in Allah's Cause. 01. Requirements of prayers: Islam enjoins its followers to pray 5 times a day and is called by the Muezzin to his prayers.These prayers are at i) Dawn ii) Noon iii) Afternoon iv) Sunset v) Night. 02. Pre-requisites of Prayer: On entering the mosque and prior to commencing prayers a Muslim has to cover his head and wash his face and limbs. Similarly, a Zoroastrian on entering the Agiary will cover his head, wash his face and limbs and perform the Padyaab Kusti before commencing his prayers. 03. The Prayers: Prayers in Islam are in Arabic only, though translations/transliterations are available. The liturgy has to be conducted in Arabic only. In Zoroastrianism too, prayers have to be recited in Avesta or in Pazend only. In fact in Aveatan prayers Pazend portions have to be recited in an undertone so as not to break the seamless flow of Avestan Manthravani. 04. Sanctum Sanctorum and its veneration: The holiest spot in a Mosque is the wall facing Mecca and is called the Qiblah. In the Atashbehram/Agiary the room where the Atash Padshah is enthroned is also called the Keblaah. A Muslim will perform the Sajdah in front of the Qiblah and so also will the Zoroastrian perform the Sezdah before his Keblaah. Both involve kneeling down and touching the forehead to the ground. 05. A Holy Month: In Islam Ramzan is the holy month in which all Muslims are required to fast in the day and only break their fast after sunset. In Zoroastrianism the month of Bahman has similiar connotations wherein all are requested to particularly abstain from flesh. Perhaps in the age of the Sassanian dynasty the month of Bahman was observed as Ramzan is now. 07. Chinvat Bridge (The SIRAAT BRIDGE): According to ancient Persian myth, when a person dies, the soul remains by the body for three days. On the fourth, it travels to Chinvat Bridge (the Bridge of the Separator, also call Al-Sirat), accompanied by gods of protection. The bridge is "finer than a hair and sharper than a sword" and spans a deep chasm teeming with monsters. On the other side of the bridge is the gateway to paradise. 08. Hell: Demons guard the foot of the bridge and argue with the gods over the soul's fate. The actions of the dead person, both good and bad, are weighed, and the soul is either allowed to cross or denied access to the bridge. Spirits whose evil outweighs their good fall into the demon-infested pit to face eternal torment. In this abyss of the damned, each soul is tortured by a GHOUL that represents its sins in life. Once fallen into the gulf, no soul can escape the horrors of hell through its own power. Zoroaster, a sixth century BC religious leader, had warned his followers of this obstacle to heaven but he promised to lead his flock safely across. The ancient manuscript Gathas (Songs of Zoroaster) explains that the Bridge of the Separator "becomes narrow for the wicked," whereas the holy can easily pass unharmed. (In Gathas, the fair god Rashnu is named as the judge who helps determine who is worthy of salvation and who must be damned.) All infidels (non-believers) fall into hell, which the prophet says has been created especially for the "followers of the lie." The legends are sketchy but assert that Chinvat Bridge is located somewhere in the far north. It is a place of filth where the damned endure physical tortures and spiritual agony. Souls who are unsuccessful in crossing the Chinvat Bridge suffer these torments until AHRAMAN, the evil god of ZOROASTRIANISM, is destroyed by the good god Orzmahd during the LAST JUDGMENT. As this time, lost spirits are restored to the truth since "the lie" has been eradicated, or they face final ANNIHILATION. Notice the similarity? So you guys are actually pagan stone and sun worshippers, correct? But your Koran is pure and free from plagiarism. DUROOD is a Persian word meaning 'cutting off from the root'. This termwas maliciously introduced by the AJAMI (Persian) "Imams". You probably know that 95% of our "Imams" hailed from the defeated Persia. They were PARSIS (Zoroastrians, Magians, Majoos), but Muslims in disguise only. This includes the six Sunni MUHADDITHEEN of "SAHAH SITTAH" (the six 'authentic' books of Hadith) and the three Shi'a MUHADDITHEEN of "SAHAH ARB'AH" (the four ‘authentic’ books of Hadith). Add "Imam" Tabari (d.310 Hijrah), the first historian and exponent of the Quran, plus a multitude. They were "canonized" by the Abbasid caliphs of Baghdad. Why? The caliphs were under the influence of their Parsi mothers and wives. Moreover, these caliphs and the state-sponsored "Imams" had a synergistic relationship. You will not find any ONE of these "Imams" opposing kingship and despotism. Rather, they opened the gates for HAREMS, slaves, concubines, wine and all kind of luxury, indulgence and lavishness for the elite. Anyone criticizing these "Imams" would lose his neck under the state-sponsored QAZI'S FATWA (religious edict). So, DUROOD was implied to mean 'cutting off TAWHEED from its root'. Just as SALAT was changed to the Parsi NAMAZ, SALAWAT was denatured into the despicable DUROOD. Now, real SALAWAT is given in the Quran. We don't need to quit SALAWAT. INNALLAHA WA MALAAIKATIHI YUSALLOON 'ALANNABI. YA AIYYUHALLAZEENA AAMANOO! SALLOO 'ALAYIHI WA SALLIMOO TASLEEMA. 33:56 Verily, Allah and His angels bless the Messenger and support his Mission (33:43). O You who have chosen to be graced with belief! Bless him and give yourself up to him and his Mission in total submission. (4:65, 7:157). So, we can say and work on SALALLAHU ‘ALYIHI WA SALLAM – or ALLAHUMMA SALLI ‘ALA MUHAMMADINWWA BAARIK WA SALLIM Here is the SALAWAT for MU'MINEEN. Nay, Allah is in no need of our worship.